How Can I Go Electrolysis by Fara? Where is Electrolysis by Fara in San Marcos on the Map? Fara has worked on me several times now, and I can honestly say she is one of the best electrologists I have come into contact with. She makes sure no pesky hair goes untreated. She sees hairs I didn't even know I had! Do yourself a favor and make an appointment with Fara, you won't be disappointed. Awesome electrolysis, clean and sterile environment. Her background in the health profession made me feel more at ease. She is meticulous and understands the feeling of having unwanted hair. She continuously ask for feedback to ensure you are comfortable. She is sweet, punctual and most importantly amazing at what she does. I highly recommend Electrolysis by Fara!! Fara is awesome. Not only was she able to fit me in last minute for my first appointment, she was courteous and did a great job. She is very clean and thorough. I highly recommend her services. I have been going to Electrolysis by Fara for almost four months now and I am extremely happy with the results and service. The machine used at Electrolysis by Fara is not as painful as I was expecting it to be, which was the most important thing for me since I have a very low tolerance for pain. Fara herself is amazing. Every time I go to Electrolysis by Fara I feel as though I am catching up with a friend instead of going to just another appointment. She is very meticulous with her work and constantly asks if I'm doing okay during my treatment. 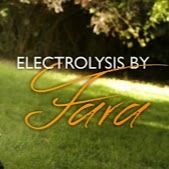 If you are looking for a electrologist who has a newer, less painful machine and a caring, fun personality, then definitely try Electrolysis by Fara.